The Ankara Governor’s Office has announced that a ban has been imposed on all protest activities in the city for a period of one month due to security concerns. A statement released by the governor’s office on Tuesday said intelligence had been received suggesting that some terrorist organizations were planning attacks in the Turkish capital. The statement said all types of protest activities including marches, the issuing of press statements, demonstrations, the erecting of tents and stands, the holding of sit-ins and the carrying of banners and placards have been prohibited for a period of 30 days beginning from Jan. 10 to protect public order. The governor’s office based the decision on the emergency rule that went into effect in Turkey in the aftermath of a failed coup attempt on July 15. 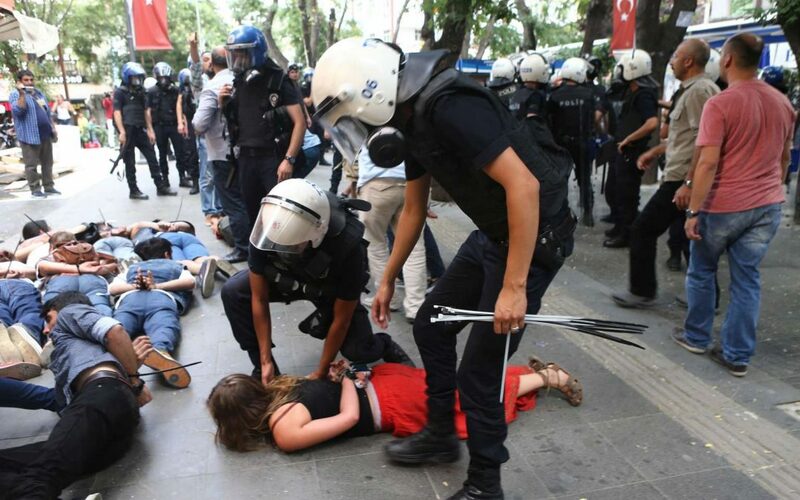 Police teams on Monday used tear gas, pressurised water and plastic bullets on a group of people from civil society organizations and bar associations who had gathered in front of Parliament to protest government plans to introduce a presidential system in Turkey. Parliament voted to debate a proposal seeking to introduce the executive presidency, on Monday. This article originally appeared in Turkish Minute on Jan. 10.